يوفر فندق فندق نوفوتيل جلين ويفرلي ظروف إقامة راقية وهو خيار رائج للسياح ولرجال الأعمال أيضاً. يقع في منطقة تسوق, مطاعم, الأعمال من ملبورن. يقع مركز المدينة على بعد 26 km فقط. ويمكن الوصول إلى المطار خلال 60 دقيقة. كما يمكن الوصول بسهولة إلى Waverley Private Hospital, Stephensons Medical Centre, Victorian Jazz Archive. إن فندق نوفوتيل جلين ويفرلي حريص على توفير الراحة للنزلاء، فلا يوفر الموظفون جهداً في تقديم أفضل الخدمات وضمان حسن الاستقبال. يقدم الفندق فرصة للاستمتاع بشريحة واسعة من الخدمات بما فيها: خدمة الغرف على مدار الساعة, خدمة التنظيف يوميًا, خدمة سيارات الأجرة, مجهز لذوي الإحتياجات الخاصة, مكتب الاستقبال على مدار الساعة . يمكن للنزلاء الاختيار من ضمن مجموعة من الغرف المصممة بعناية لتعكس جواً من الراحة، والتي يتجاوز عددها 200. يقدم الفندق مجموعة رائعة من الخدمات كمثل مركز للياقة البدنية, ساونا, حمام سباحة داخلي، لجعل إقامتك تجربة لا تنسى. إن فندق نوفوتيل جلين ويفرلي هو مكان مثالي للمسافرين الذين يتطلعون إلى الراحة والاستجمام في ملبورن. Great location. Near so many good restaurants, bus stops and Glen Waverley train stations. Car park is a bit small. It can get filled quite easily. The bed is way too soft for me. But it may be ideal for others. I was quite impressed on entering the foyer of this hotel. they were getting ready for Christmas. The Staff were cheery & friendly & were happy to answer questions to help our stay more comfortable. The complex was perfect for our family to enjoy a short break, with restraunts & entertainment complex attached. We were able to enjoy the Hotel pool & then complete our evening after our meal by enjoying a family movie.An included casual buffet breakfast was Just what the Doctor ordered!!! Lovely hotel in a great location. Good staff. This hotel was a halfway stop on the way to our daughters wedding in lileydale. We are from Perth and my mother who is 88 was with us. 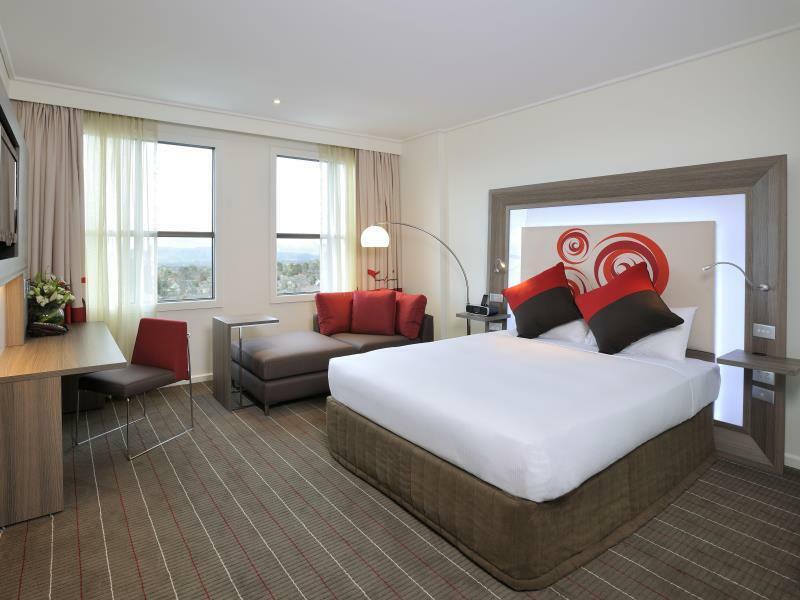 This was great to spend the night at as our daughter lives in moorabbin and we picked my mum up from the airport, stopped at our daughters for a little while, then traveled on to the novotel, so we could get a fresh start in the morning and not travel too far. My husband often stays there with his work and he made the suggestion for us to stay, which was a wonderful idea and i am glad we did so. I can’t agree the good reviews on Agoda. The bed wasn’t comfy at all and poor quality breakfast. I won’t be back. Not valuable paying $239 for one night in not in Melbourne CBD. I used to stay in the city, but with so many clients in the south east, it made sense to park myself here. I was very happy to find so many good restaurants in the laneways behind, plus a shopping centre nearby. The hotel seems to have been designed, not just this millennium, but within this decade! Shock horror. All the design elements of the room appear to have been built with current technology in mind. loads of power points around the room, 2 beside each bedside table, usb port for charging on the desk, lighting is great, and the carpets have a deep underlay so you just don't hear the heavy hooves of the other guests parading up and down the hall. Only con is the breakfast. The buffet is a little light on in range, the omelet was more like a thin egg pancake folded in half, the expresso tasted like it came from a pod, watery and bitter. In a town like Melbourne I would have expected better fare. No matter, loads more better cafes in the area. I'll definitely stay here again. The staff were extremely helpful and pleasant. I was very pleasantly surprised by the service offered at the price of this hotel. The breakfast was absolutely fantastic. 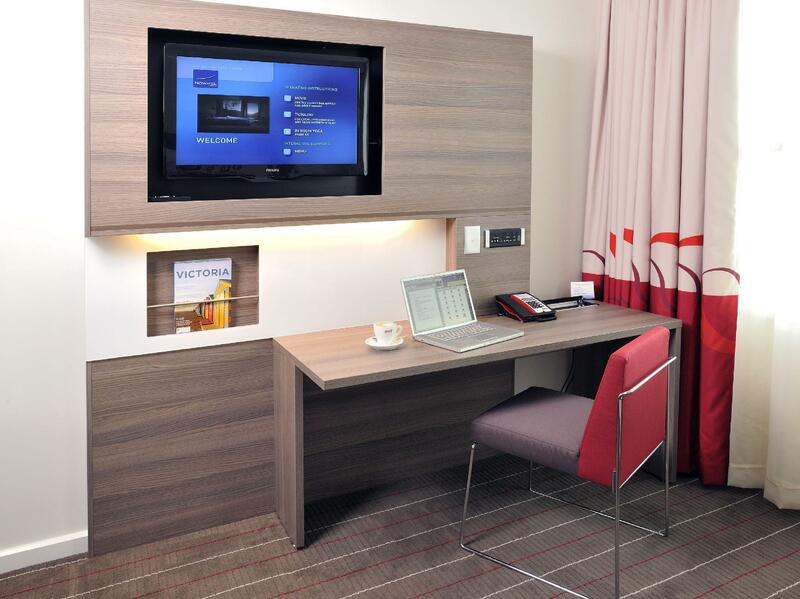 Keep up the good work as it is rare to find this quality of hotel and service at this price. 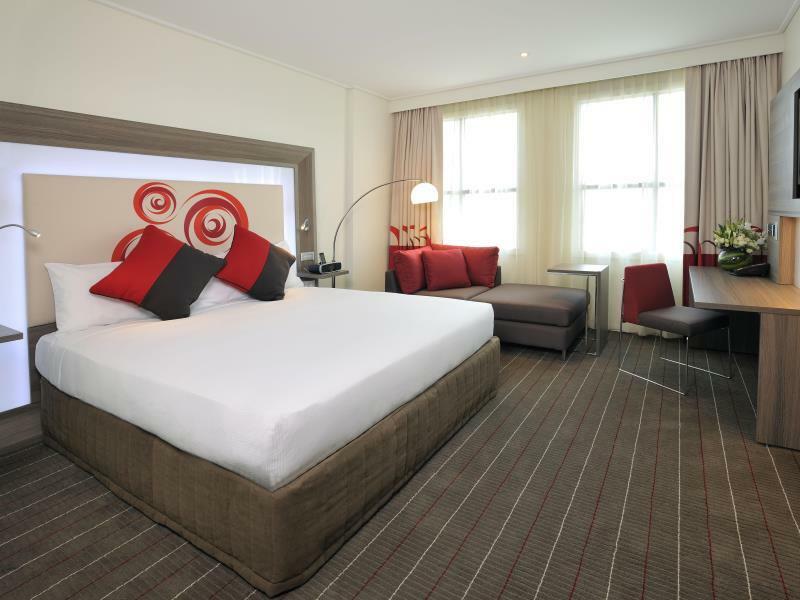 Stayed at Novotel for quick trip to Melbourne with family. Great location and convenient to shopping, restaurants, freeways and train.. Hotel staff very friendly and helpful in all resects. Room decent size, comfortable and veryy clean. Have stayed multiple times there and will definitely stay again. If you need to know what service means, learn from the staff here. This is by far the best experience I've had in the last decade. I can rate them above some of the 5 star stays I have had. The highlight of this hotel are their staff. They are so pleasant and very accommodative of all your special needs and request. I'm sure to stay here when I'm back in Melbourne. Best ever bed & bedding! Activities, cafés, bars etc right outside the door. Staff very professional, friendly & helpful. Great little overnight treat. Room was lovely. Only downfall was the shower over the bath was cramped. All very clean. Staff were faultless! Great breakfast spread, but missing whipped cream for the fresh, delicious pancakes. Room were ok. two double beds in good size so its good for family with young children. be prepared to carry your own luggage to your room, hotels provide you some trolley so you can use it for free. breakfast not so many option and they dont change the menu for straight 4 days. so If you stay more than 3 days, i think you will get bored with the selection. Hotel itself standing in the area where you can easily find foods, also connected to this venue which has cinema, bowling alley and to those want to test your luck there were a mini jackpot machine at the retail area next to the hotel. Nice friedly staff greeted us on our arrival and helped us to settle in after our wedding. It was a good stay and we enjoyed every minute. Would recommend this hotel to every one thinking of staying in Melbourne. Enjoy ! We enjoyed our stay very much. 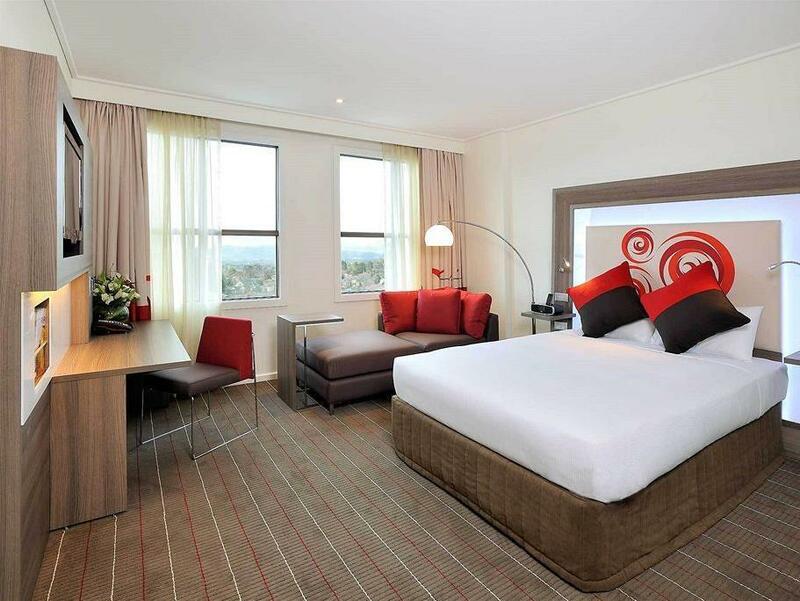 The room was newly renovated and the interior of was just clean and beautiful. We had an early check in (9:00) and a late checkout on the next day (5pm) with no single penny extra. We asked for this at the check in and fortunately it was feasible. Breakfast appeared somewhat expensive so we decided to go to a cafe that was in the adjacent cinema/bowling center. Several options for Asian food in the back of this cinema center just a couple of meters away. Also very close is a shopping mall (500m walking distance). Apparently a train station is also close to the hotel, however, we didn't look for it. All in all a very pleasant stay in this hotel, which we had chosen because friends we were planning to visit and spend more time with live in a suburb which is very closely. Free Internet in the lobby for 30 minutes per day (which is not really much) and 15AUD/day for 1000Mb per day accessible Wifi and LAN within the guest room. I would suggest this hotel to all of my friends and relatives. and will go again for sure next year with my family. this hotel has the good service , friendly staff and good location, the ability to be able to walk to all the shopping area and good restaurant. the room is comfortable and has good restaurant. 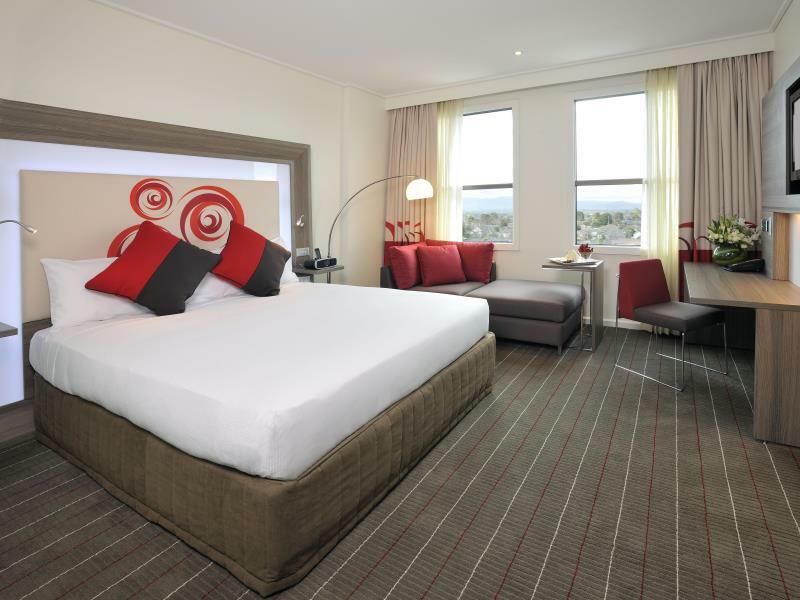 the hotel was perfect for our stay, so close to restaurants, the train station and the glen. 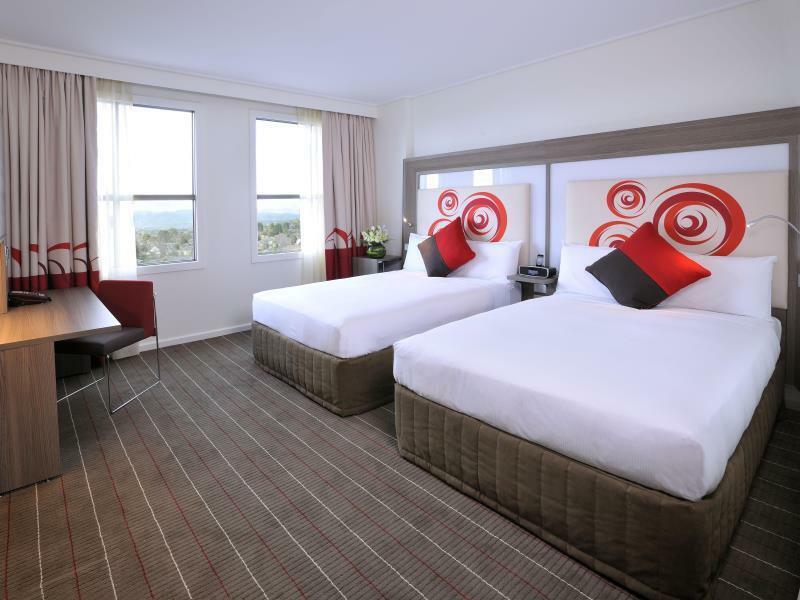 the rooms were lovely, modern, clean and a good size with nice views of the dandenongs. only a 35 minute trsin ride into the city. The room was clean, the bed was comfy, the tv worked. Bathroom also clean. Very pleasant staff. We didnt use the hotels swimming or gym facilities. We also did not dine in the restaurant. Staff were very helpful and treated us with respect. Room service was used for breakfast, we had a call to clarify our order. The breakfast was large, tasty and served right on time. Check in and check out was quick and pleasant. Hotel parking helpful but expensive, though probably on par with other hotels. Room was clean and cosy. Towels were fluffy and huge... very nice. good location, in the centry of Glen. Convenient to meet friends. comfortable room. but, 1) if there is twin bed choice, would be better. 2) paying the local call (mobile) was not expected. 3) the tv programs should take the normal channels as default. paying the movies present by the tv set was not expected. 4) the coffee shop close too early in thursday evening.